sector plays in food safety. 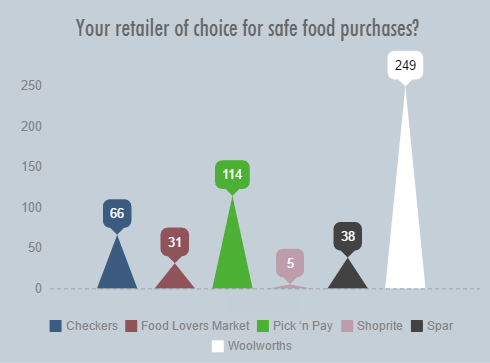 Your ranking of retailer of choice for safe food purchases is as depicted in the graph below. Be on the look-out for more exciting studies coming your way!